Explore the beauty of sculptures out in the gardens as we walk through the gardens, collecting fallen plant materials along the way. 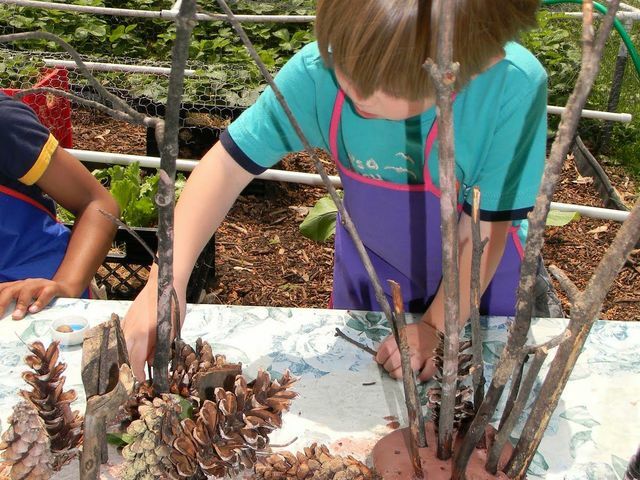 Back in the classroom, each pair will design and create a natural material sculpture that can be displayed in your backyard. This workshop is recommended for ages 5 and up. Registration for this workshop includes admission for one child and one guardian.